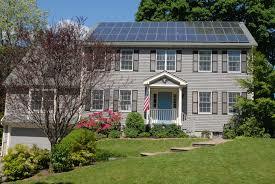 Should You Add Solar Panels to Your Home? Lower Electric Bill - Depending on the size of your home and your electricity use, adding solar panels to your home can reduce your monthly bill. Installation Costs are Lower than Ever - Since 2011, the cost of installing solar panels has dropped by 60%. There are also federal and local tax credits & subsidies to help lower the upfront setup costs. Flexible Purchase Options - Due to the increased interest in solar energy, there are more companies to choose from for installing solar panels more ways to afford the installation. You can choose to lease, buy or finance. There are also energy assistance programs such as mPower that tie the payment for the solar in with your real estate taxes. It is important to make sure than any financing option has a lower payment than your average electricity bill to ensure that you are saving money.